LA County may have underpaid its employees overtime. You might have a claim. The Public Safety Law Group and Rains Lucia Stern St. Phalle & Silver are representing Los Angeles County employees in a lawsuit against the County for underpaying their overtime. You may have a claim. Learn more here about how to join in the lawsuit. Under the County’s health insurance system, employees have two possible cash-back options. Employees who are covered by other group insurance can entirely opt out of health insurance coverage through the County, and receive cash-back payments. Other employees who choose other than the most expensive health care coverage receive as cash-back the difference between the County’s contribution and the cost of the coverage the employee chose. The Fair Labor Standards Act (FLSA) is the country’s basic wage-and-hour law, and describes how the overtime rate must be calculated. In a case known as Flores v. City of San Gabriel, the federal Ninth Circuit Court of Appeals held that the FLSA requires that health insurance cash-back payments must be included in the overtime rate. The County has not included cash-back payments in calculating employees overtime rates. Under Flores, the County’s practices violate the FLSA. In addition, the lawsuit will examine whether the County has been correctly calculating employee overtime rates. You have a claim for underpaid overtime if you meet two conditions. You worked for Los Angeles County for all or part of the three years before the date we file your claim. You worked overtime during that time period. A consent to join the lawsuit. An attorney-client fee agreement with the attorneys who are representing the class. If you’re interested in joining the overtime lawsuit against Los Angeles County, please fill out this form and sign and return the documents linked below the form. You can do this from your computer or smart device. Just follow the two steps outlined below. You'll have to fill out a form then download, sign, and return some documents. Fill out the below form (refresh this page if the form does not appear). We need the information gathered to pursue your claim. Click the button to download and sign two documents: (1) the consent to join the lawsuit form and (2) the attorney-client agreement. Please either mail OR hand-deliver the original signed documents to one of the drop-off locations below. We apologize, but we cannot accept faxed or emailed signatures. We are happy to answer any questions. Visit our "Contact Us" page to reach out. Please remember to print your name clearly and print out the documents single-sided only. PSLG specializes in representing public safety labor organizations in all aspects of their labor relations, ranging from daily legal counsel, contract administration, collective bargaining negotiations, arbitrations, unfair labor practice litigation, and critical incident response. PSLG blends a vast amount of experience and scholarship in the law with the finest group of labor lawyers in the region. As the political climate in this country has rapidly changed, PSLG has developed a sophisticated model of representation that blends traditional labor relations with proactive political endeavors, which has greatly benefited their clients. Rains Lucia Stern St. Phalle & Silver, PC ("RLS") is a premier full-service law firm with an emphasis on the representation of peace officers in disciplinary, criminal, labor, workers’ compensation, personal injury and other civil matters. RLS is dedicated to protecting the rights of peace officers, firefighters, public employees, and those who need professional legal assistance. RLS’s diverse legal team includes attorneys, labor relations representatives, professional negotiators, and private investigators. These professionals offer a broad range of experience and knowledge in labor and employment law related to the public sector, particularly law enforcement. RLS’s team approach to representation works to the advantage of our clients, enabling each individual client to draw upon the expertise of the entire firm. RLS is committed to providing the highest quality service at an affordable cost. Will Aitchison Will is a founding member of the Public Safety Labor Group. He has represented over 100 labor organizations in five western states. He is a veteran of hundreds of public sector labor negotiations and has handled dozens of Fair Labor Standards Act lawsuits across the country, recovering $100 million for his clients. 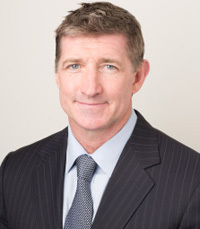 Will received his Doctor of Jurisprudence from Georgetown University Law Center in Washington, D.C. and is the author of eight books on public sector labor matters, including The FLSA, A User's Manual. Harry S. Stern Harry is the managing principal of RLS. He has successfully defended peace officers in a number of high-profile trials. Harry has also represented college and professional athletes, candidates for elected office and other prominent people in civil and criminal actions in both federal and state court. He regularly represents peace officers in internal investigations, administrative hearings, coroner’s inquests, grand jury proceedings and related court actions. Prior to becoming an attorney, Harry was a police officer with the City of Berkeley and was a member of the Berkeley Police Association’s Board of Directors. 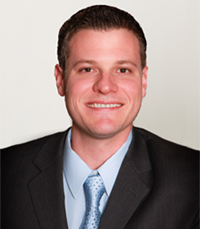 Timothy K. Talbot Tim is a partner at RLS heading the Labor Litigation Practice Group. Tim has extensive experience litigating pension and Fair Labor Standards Act matters. He specializes in representing and advising public and private sector labor organizations in all aspects of traditional labor relations. Tim has served as chief negotiator for hundreds of public and private sector collective bargaining agreements. 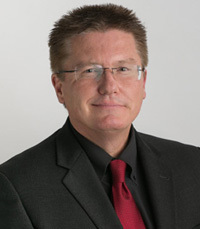 Tim has successfully represented clients in hundreds of arbitrations, administrative hearings, state and federal court cases and appellate proceedings resulting in published opinions. 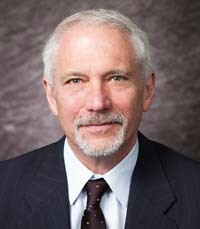 Peter A. Hoffmann Pete is a partner in RLS's Collective Bargaining Practice Group and the Litigation Practice Group. Peter has successfully litigated a number of collective actions under the Fair Labor Standards Act, enforcing the wage and hour rights of thousands of the firm’s individual clients. He also has extensive experience representing individual peace officers in administrative matters, critical incidents, internal affairs investigations, and disciplinary arbitrations. He has extensive experience in representing and advising labor associations on all matters. Peter has negotiated numerous collective bargaining agreements for labor clients. 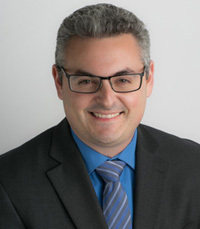 Jacob A. Kalinski Jacob is a partner in RLS’s Southern California Labor Litigation Group, where he oversees the firm’s representation of public employee associations and individual clients in various types of civil litigation to enforce their contractual and statutory rights. Jacob is also an experienced labor negotiator, having negotiated numerous collective bargaining agreements to improve clients’ wages and working conditions. In addition, he represents employee organizations concerning day to day labor matters, including meet and confers and the prosecution of grievances. 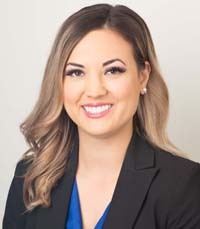 Nicole Castronovo Nicole is an associate in RLS's Injury Resource and Litigation Group and Legal Defense Practice Group. She primarily works on auto, pedestrian and construction site cases, assisting on complicated medical issues. Nicole also collaborates on medical malpractice cases. 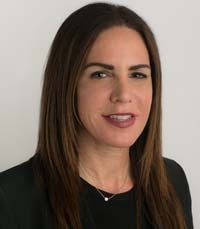 Prior to joining Rains Lucia Stern St. Phalle & Silver, PC, Nicole clerked at the Orange County District Attorney’s Office in their Gang and Homicide Units, and spent several years working at a criminal defense firm in the Los Angeles area. If the claims are successful, what can I recover? If the claims are successful, the County will be required to recalculate your overtime, including the overtime rate of cash-back payments you received through the health care system. In addition to being compensated for any underpayment, the County may be liable to pay you an equivalent amount in “liquidated damages” unless it can show that its violation of the law was “reasonable and in good faith.” This is why the FLSA is often referred to as a “double damages” statute. How far back in time will a lawsuit cover? The FLSA has two statutes of limitations. The basic statute of limitations allows recoveries two years in the past. If employees can prove that the employer’s violation of the law was willful, intentional or reckless, the statute of limitations is extended to three years. How are the attorneys getting paid? The law firms handling the claims have agreed to work on the basis of a 25% contingency fee. This means that you would pay no attorney fees unless and until a recovery is made on your behalf. If the claims are unsuccessful, will I be responsible for paying the County’s attorney fees? No. While the FLSA allows a successful plaintiff to recover attorney fees from the employer, it does not allow a successful employer the right to attorney fees from the employee. Don't see your question? Click here to contact us!